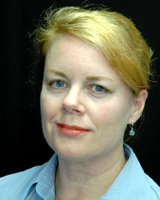 Alexandra Walsh is an experienced professional who leads major communication projects for Association Vision. During her career that spans more than 25 years in Washington, DC, she has helped build the image of dozens of associations through publications and public relations. Walsh has provided communication consulting services to the Outdoor Advertising Association of America, Discovery Communications, Inc., Ogilvy Public Relations Worldwide, and the law firm of Wilmer, Cutler and Pickering, among others. As vice president of media and public relations for the Recording Industry Association of America (RIAA) throughout the 1990s, Walsh became intimately familiar with crisis management as the music industry was at the center of a number of very public controversies. She was involved in all aspects of preparing and implementing a multi-year campaign to educate the media and music fans on the record industry's position in its battle against the online music swapper, Napster. As the communications director for the Wine and Spirits Wholesalers Association, she initiated the U.S. wine industry’s first social responsibility campaign in response to a government mandate to put health warnings on wine bottles. Walsh managed the book-publishing program for the Special Libraries Association (SLA), representing corporate and academic librarians. As SLA’s communications director with oversight for all publishing aspects from manuscript procurement to printing, she produced 10 to 12 academic books annually. Earlier in her career, Walsh ran the publications program for Association Management Inc., where she was responsible for planning, writing, editing, advertising and production of as many as five bimonthly, four-color trade magazines at a time.